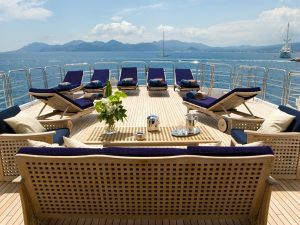 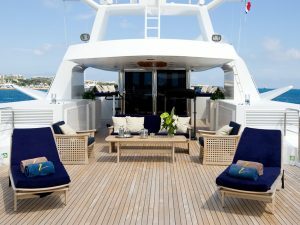 M/Y INSIGNIA, is one of the most successful charter yacht in Greece, due to her elegant interior and ample exterior spaces. 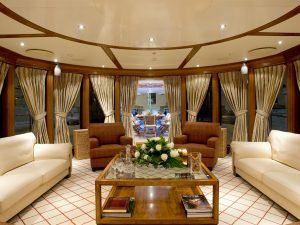 In the large salon, the main feature is a large beautiful spiral staircase that runs from the lower deck to the sun deck. 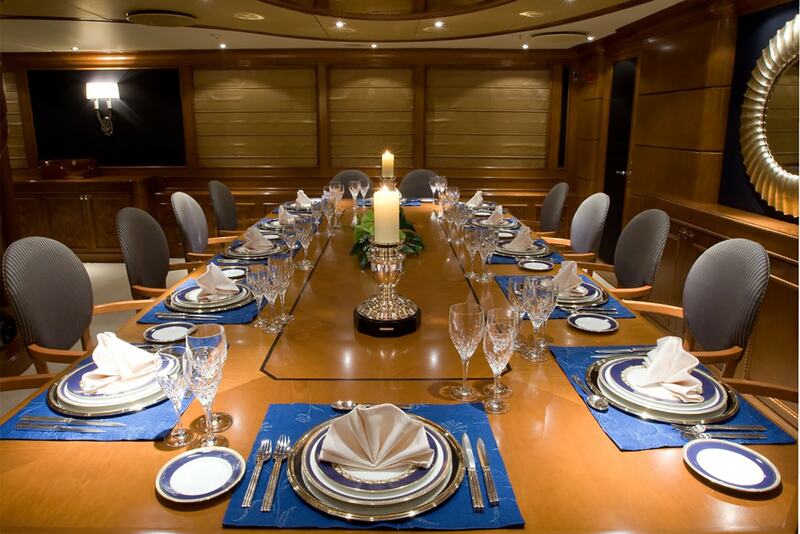 The main salon also hosts a formal dining set up, large separate lounge area and a bar. 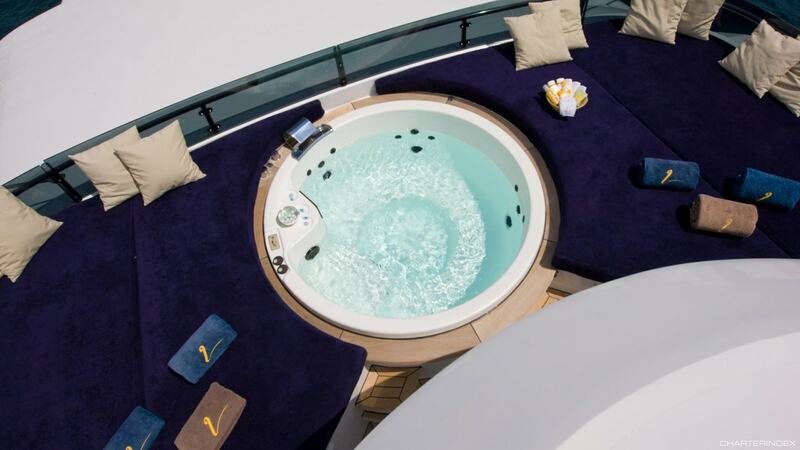 The glassed sky lounge, is a popular and inviting space, with 180-degree views across the sea and a lounge area and entertainment system. 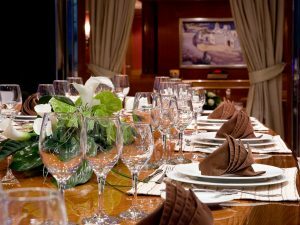 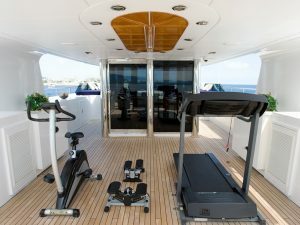 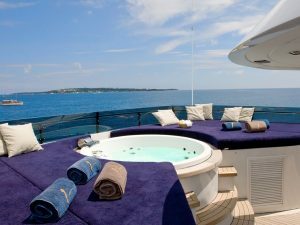 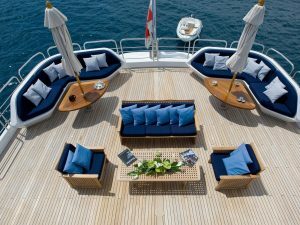 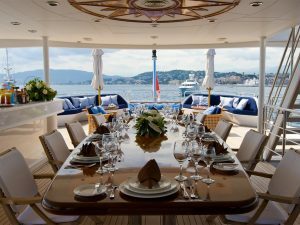 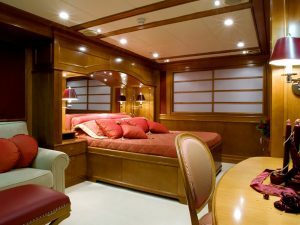 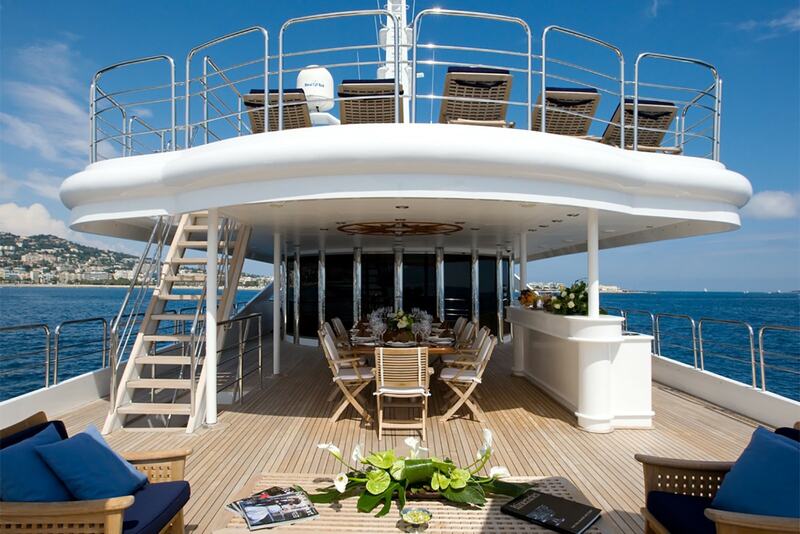 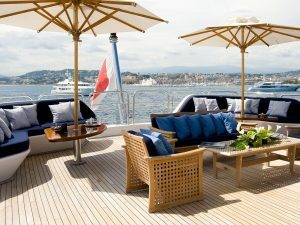 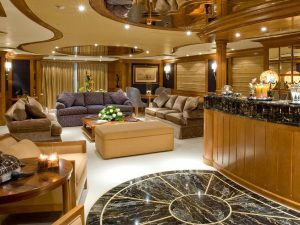 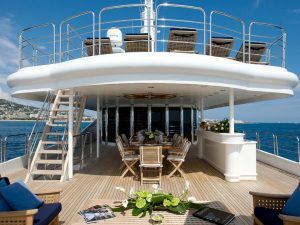 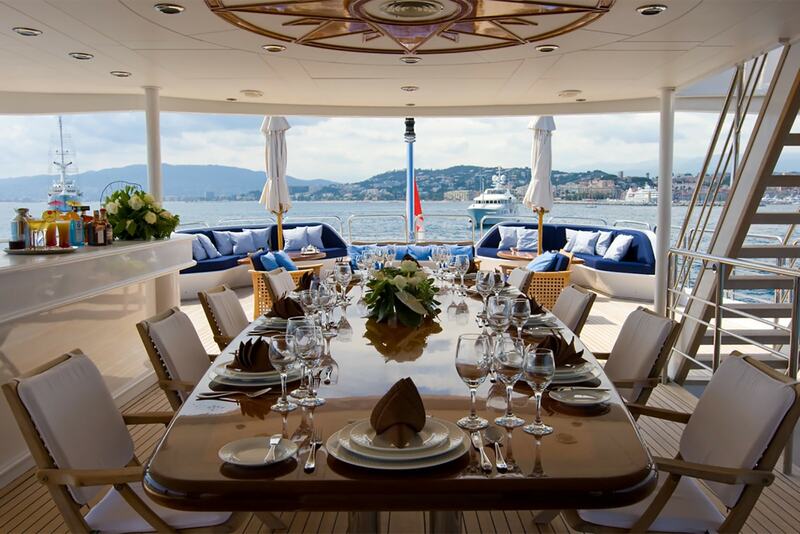 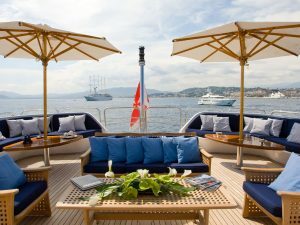 M/Y INSIGNIA‘s exterior area, has a spacious upper deck, offers to her guests a sheltered al fresco dining area and bar. 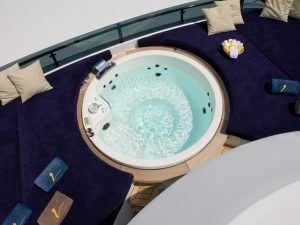 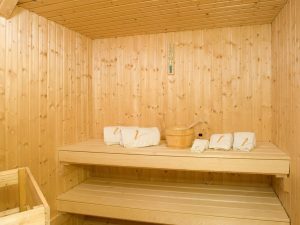 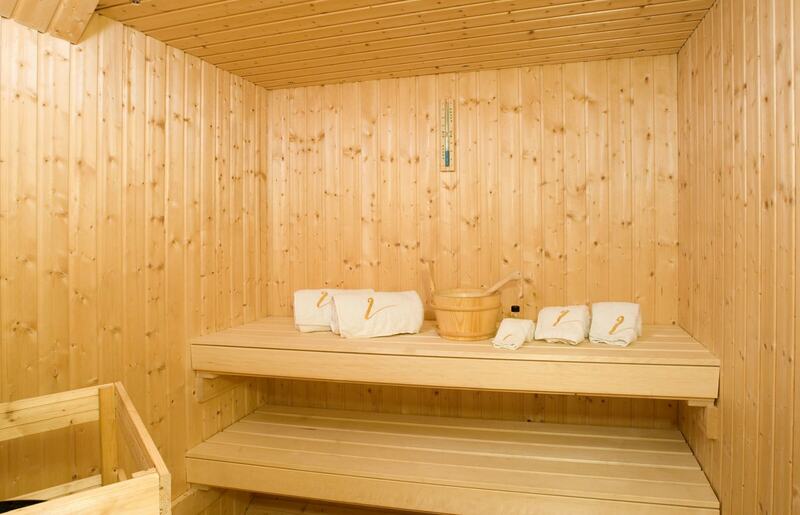 On the sundeck is an open air cinema, large Jaccuzzi and sunbathing area, as well as ample loungers and seating areas aft, also a sheltered gymnasium set up for works out. 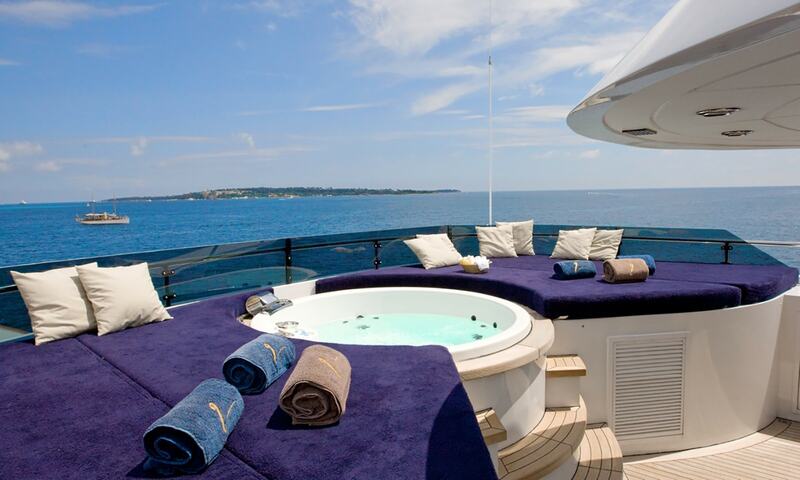 She also offers to her guests, a wide range of water toys. 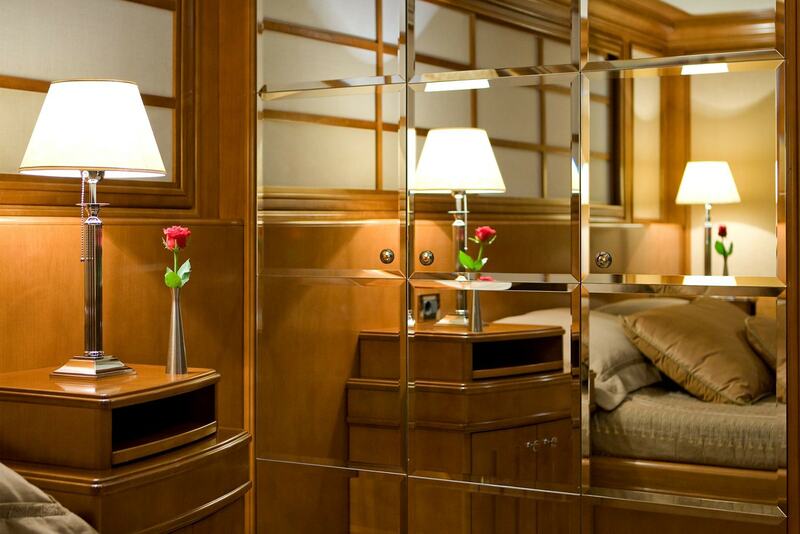 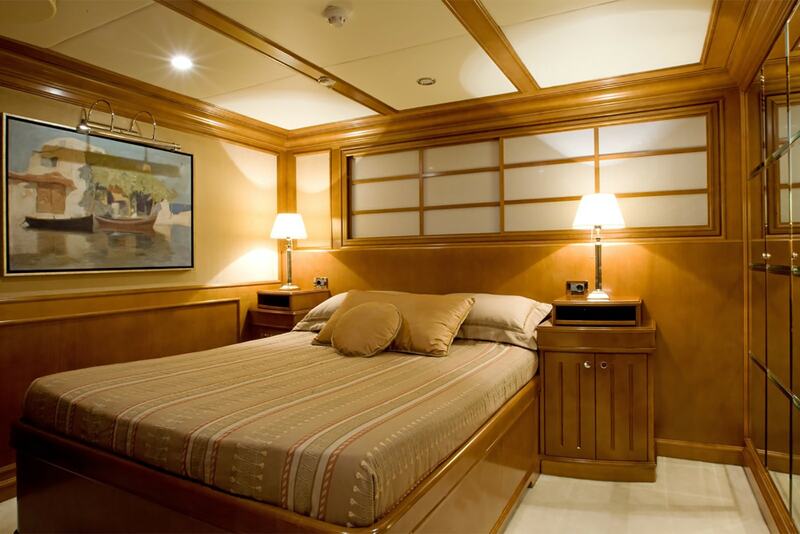 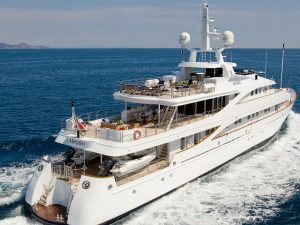 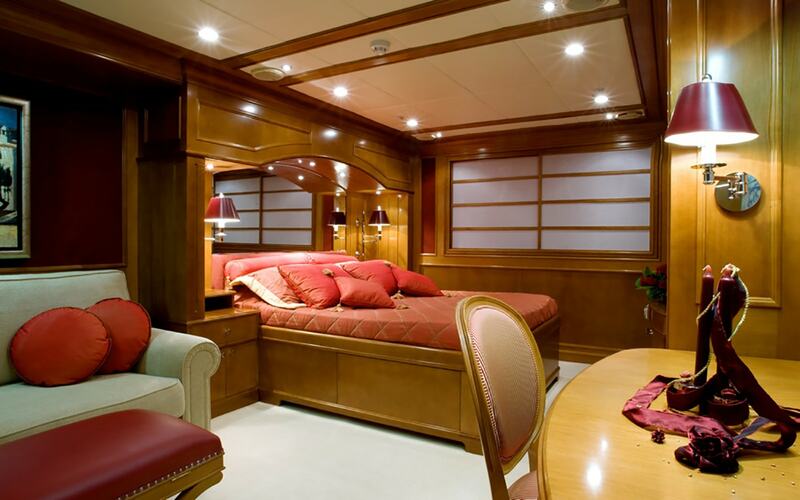 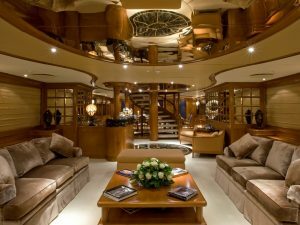 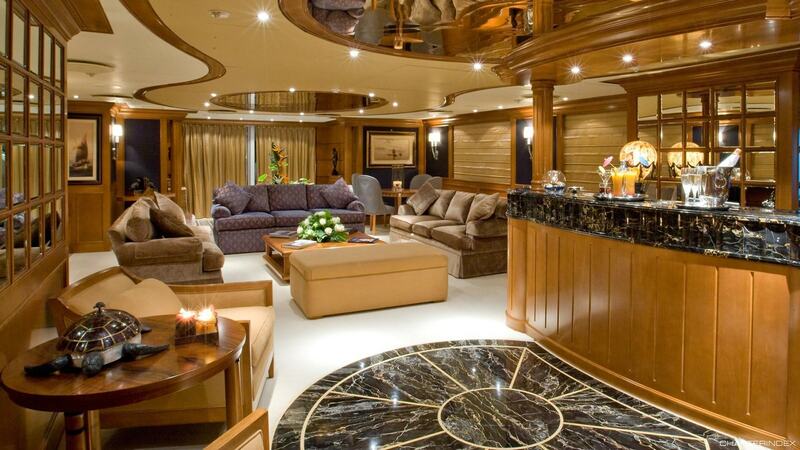 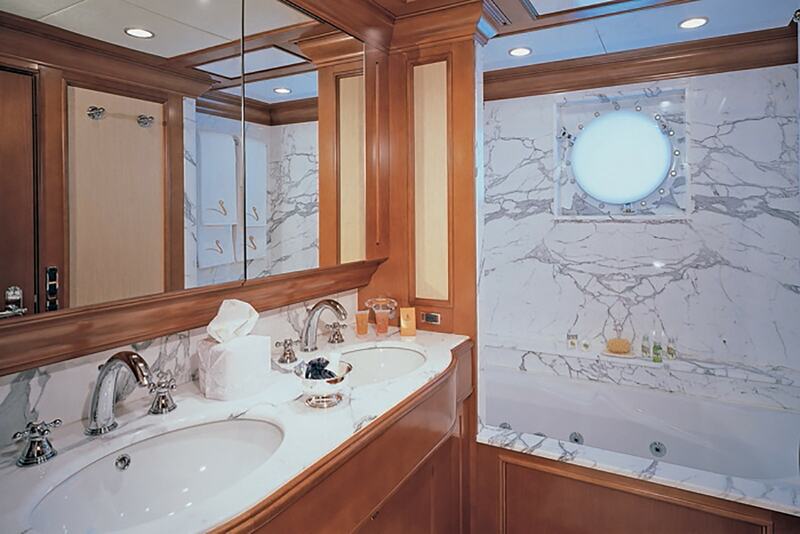 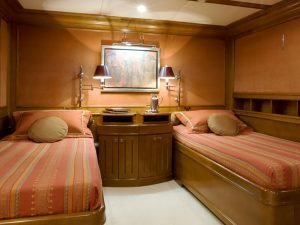 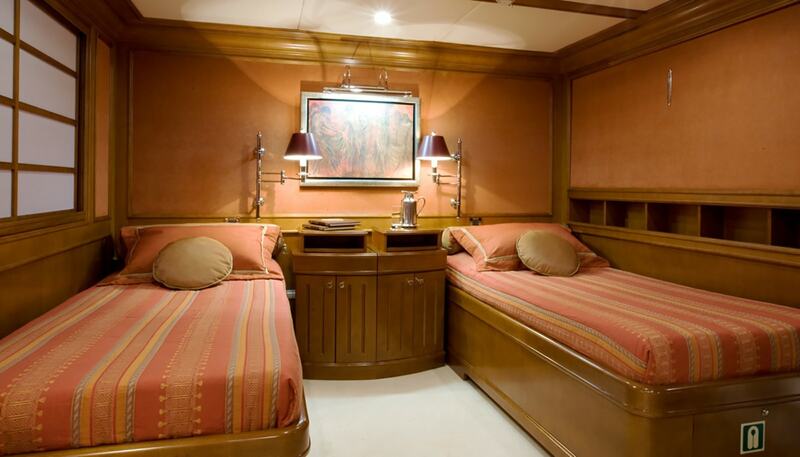 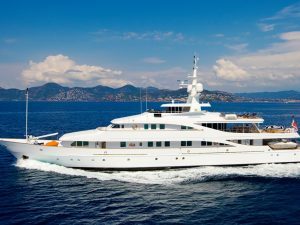 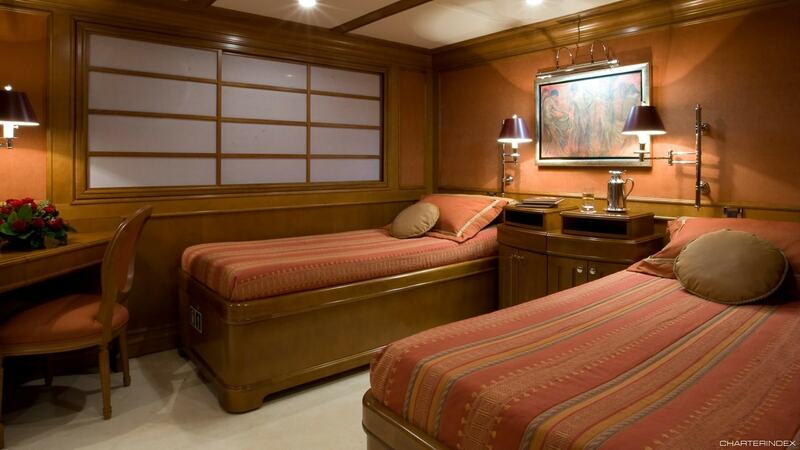 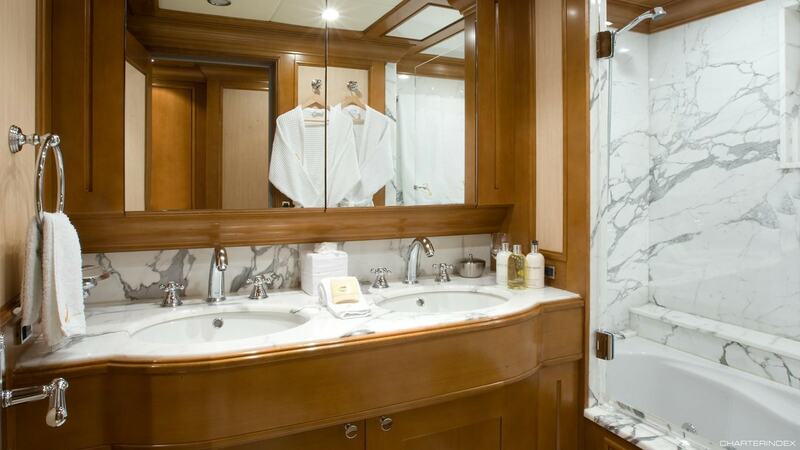 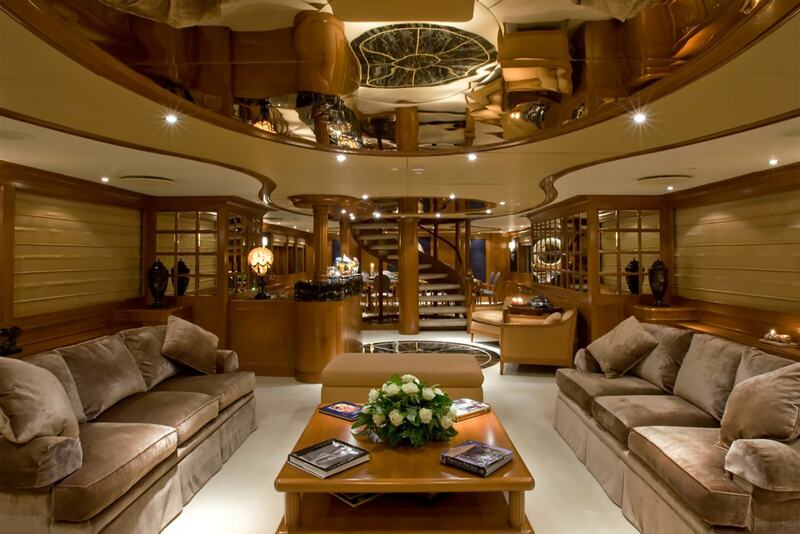 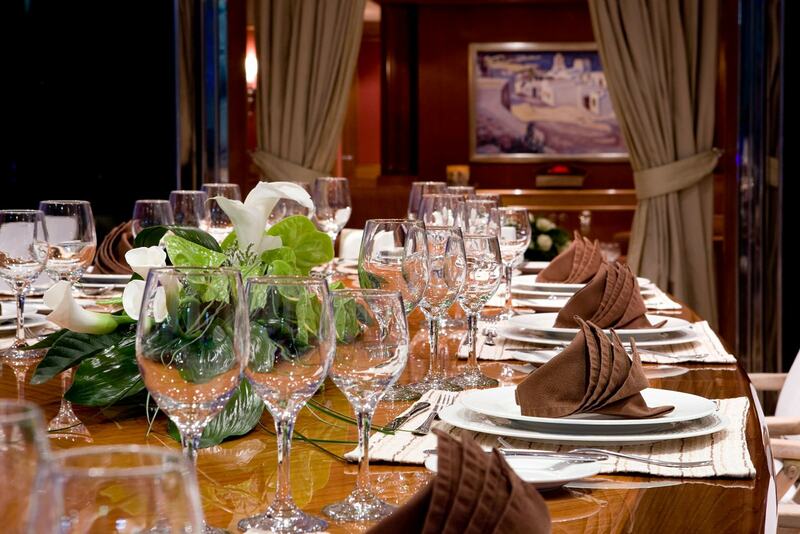 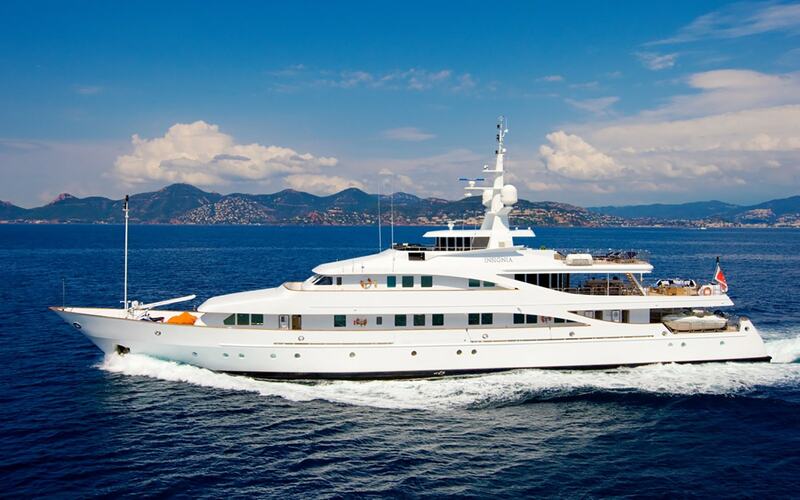 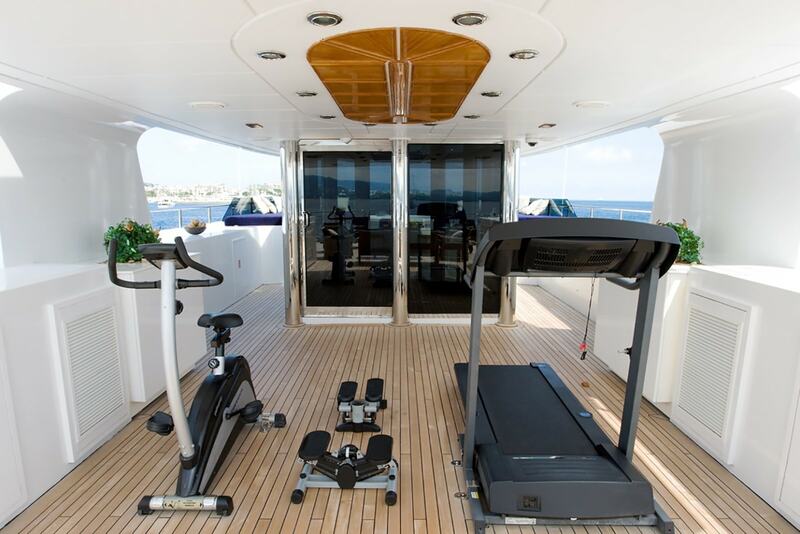 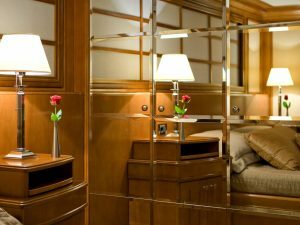 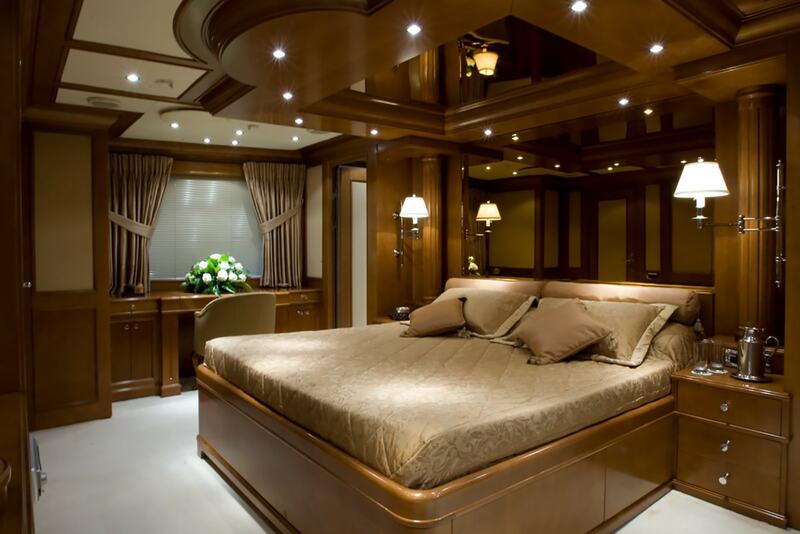 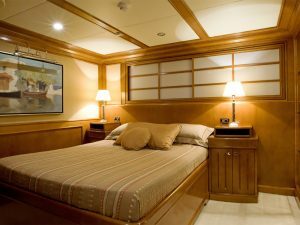 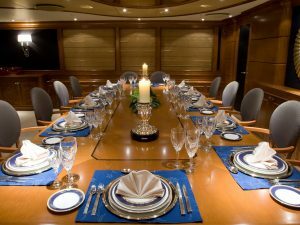 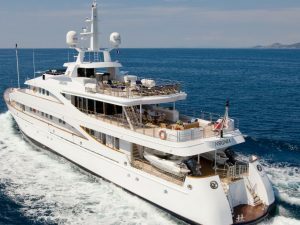 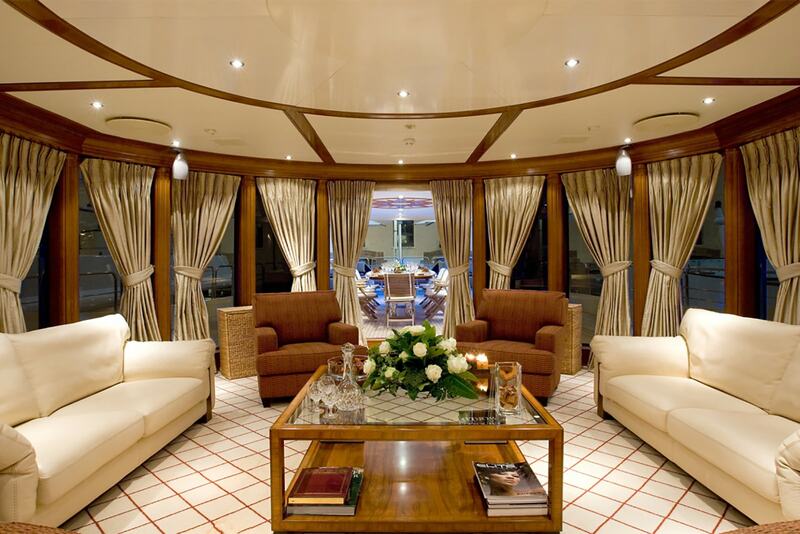 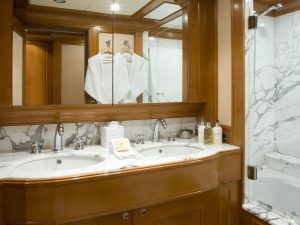 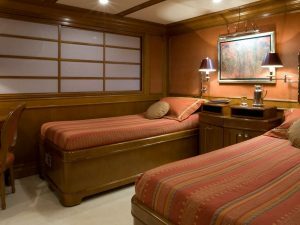 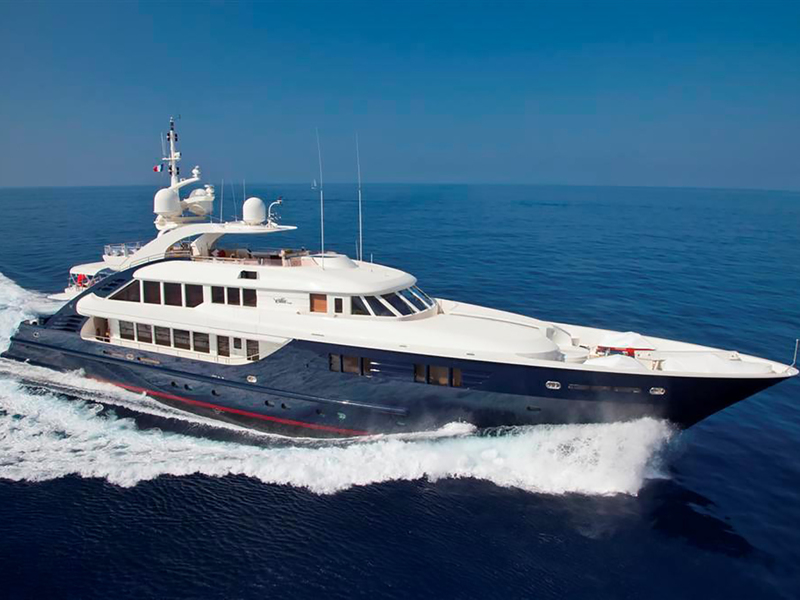 M/Y INSIGNIA, accommodates 12 guests in 7 cabins. 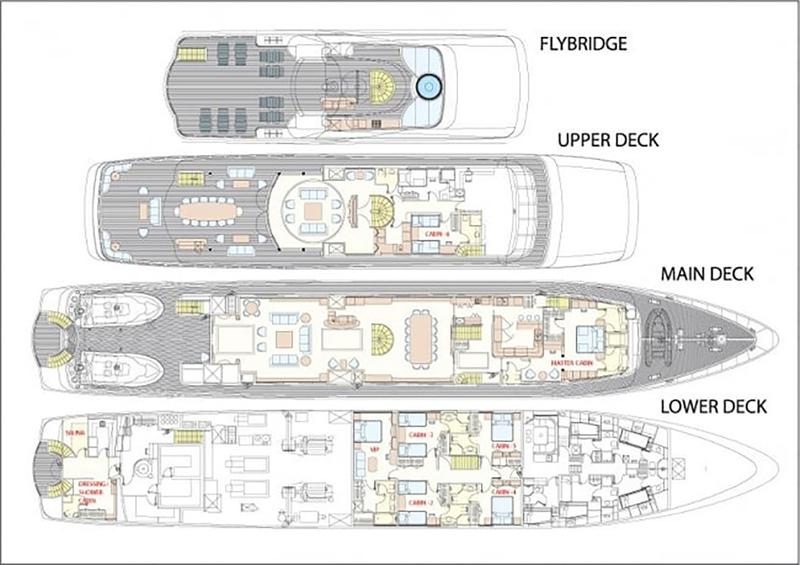 A full beam master cabin with sweeping views, a full beam VIP cabin, two double cabins and three twin cabins with convertible configurations. 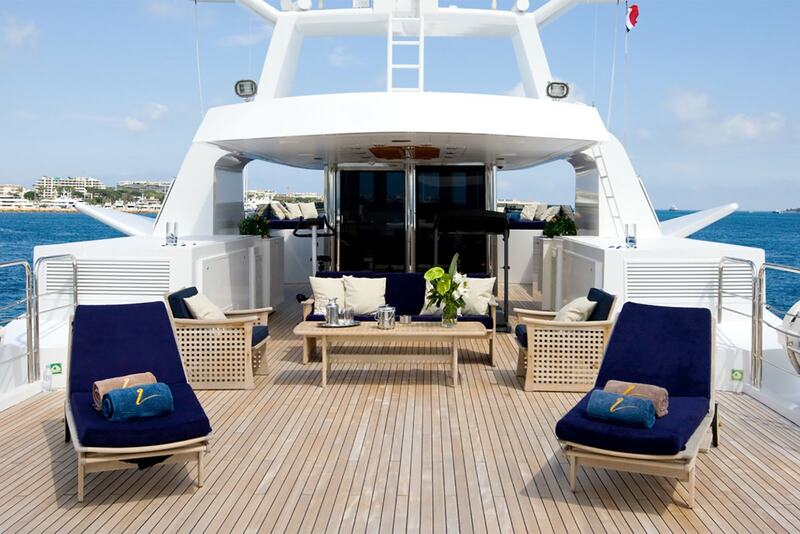 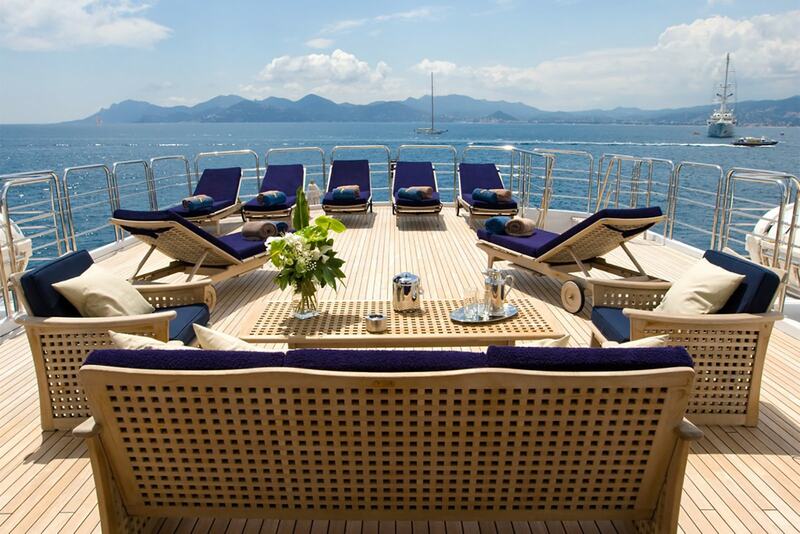 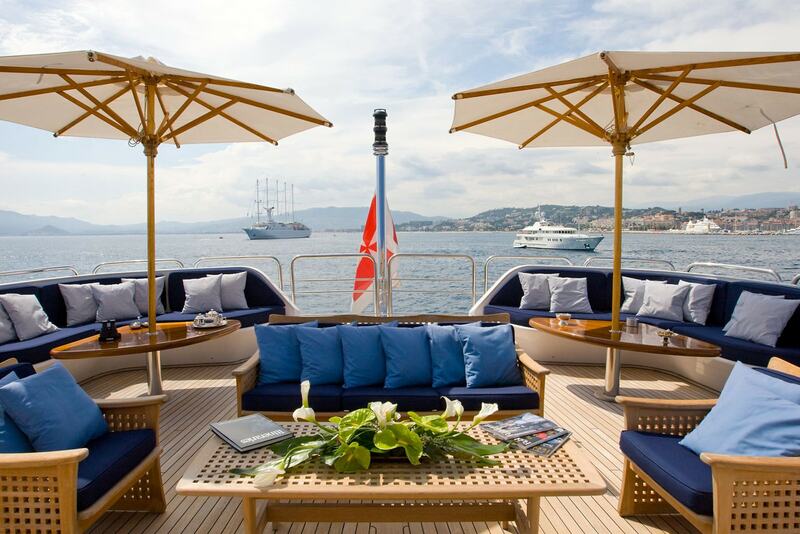 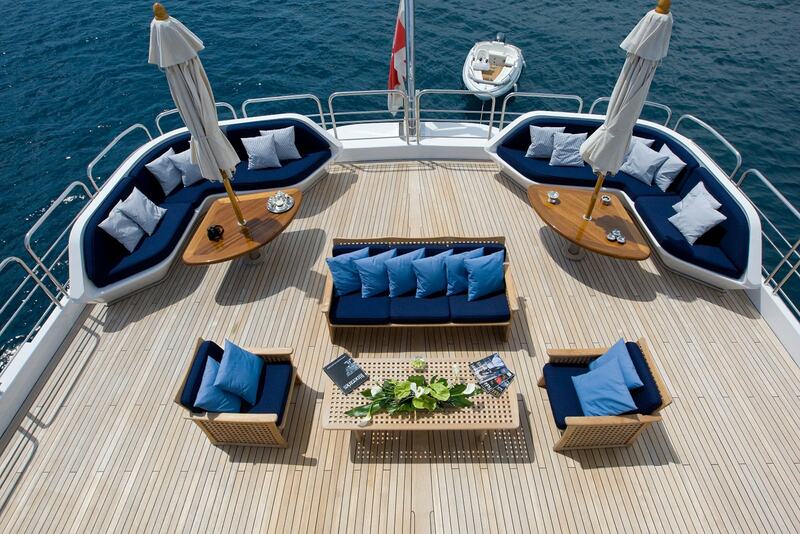 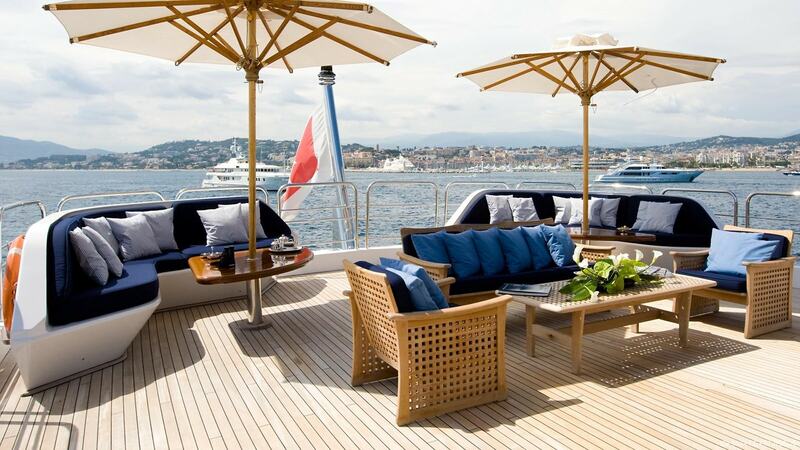 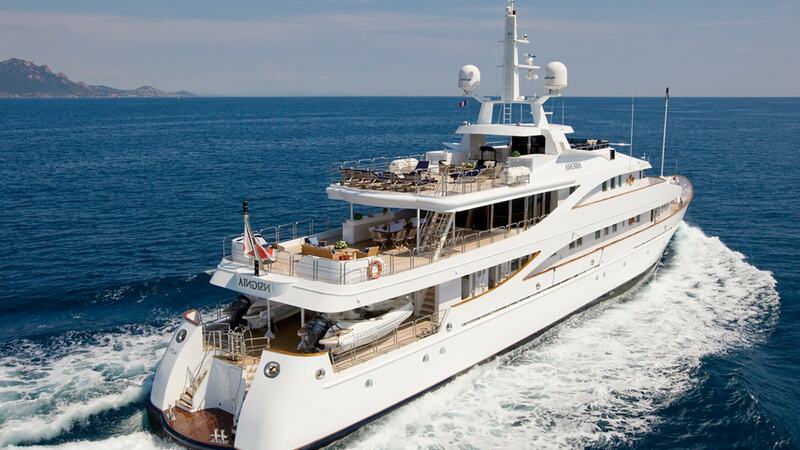 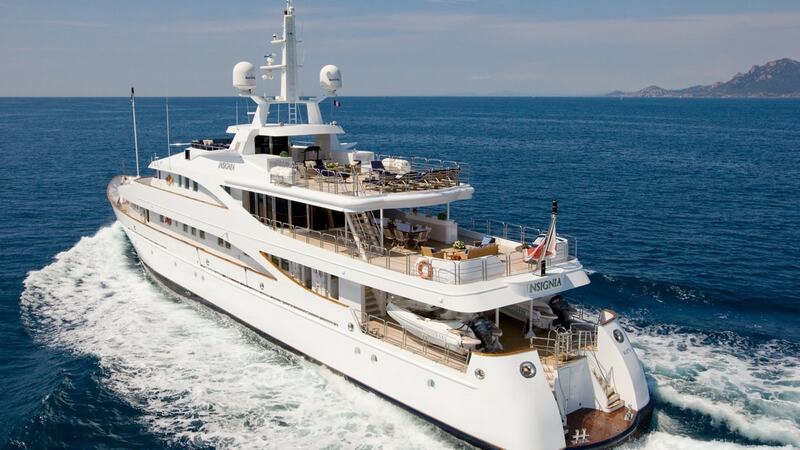 M/Y INSIGNIA, is the luxury charter yacht for unforgattable holidays!